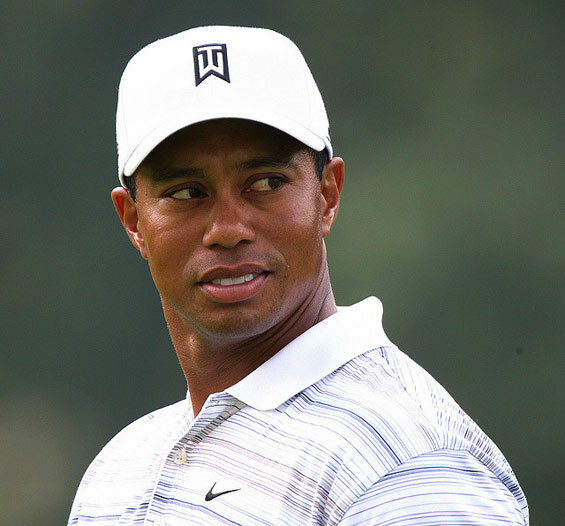 After 924 days, plenty of hard work with his coach Sean Foley, countless hours of under achievement in the glare of the public eye, Tiger Woods finally laid one ghost to rest. His five-shot victory in the Arnold Palmer Invitational at Bay Hill, Orlando, Florida earned him his first PGA Tour win in over two years. Certainly, the weight of pressure has been lifted from Tiger’s shoulders. Carrying that monkey on his back over the last 12 months in particular has seemingly weighed him down at times. That’s why few people will begrudge him his “f*** yeah!” explosion of delight as his approach to the last at 18 landed safely on the green missing the water, handing Woods the formality of putting out for a relatively easy win. Prior to our last update about the return of golf to the 2016 Olympics in Rio, much remained uncertain about the course, the designer and the actual design, however after an announcement in the first week of March 2012 by Rio 2016 president Carlos Arthur Nuzman, that has all been cleared up. After a lengthy bidding process and despite competition that included such golfing luminaries as Jack Nicklaus, Gary Player and Greg Norman, it is American architect Gil Hanse who has won the rights to design and build the course that is to be the centrepiece of golf’s return to the Olympics in Rio 2016. Hanse, in partnership with LPGA Hall of Fame legend Amy Alcott, won the bid thanks to his impressive renovation of the TPC Boston course in Massachussetts, as well as his work on Castle Stuart, host of last years weather-plagued Scottish Open. Equally important to the bidding process was Hanse decision to relocate to Rio to oversee the project, which he hopes to have the first shovel in the ground in October this year, and the fact that he intends to accentuate the natural contours and dune formations within the Reserva da Marapendi site that has been earmarked for the course to be built upon. Few sports are as innovative or rely as heavily on research and development as golf. Each year sees new golf products hitting the shelves for the first time which offer golfers not just more choice, but (supposedly) greater distance on their shots, more control of their shots, a ball that is easier to control, more comfortable golf attire, more accurate putters and so on. The year 2012 is no different to any other year in that respect, but which items should you be considering to add to your golf equipment this year? Listed below are five products that Gorilla Golf view as being the must have products of 2012. One of the best ways to tell if an item is a sure fire hit is if it is innovative, eye-catching but also has a practical use and these golf ball markers fulfil all the criteria perfectly. Coming in a range of designs, you simply place your ball in the tin cup and then colour in your chosen pattern using your marker. The result is a clever way to mark your ball that is both stylish, simple and eye catching. A brilliant small gift for the golfer who has everything and they come in a vast range of different designs too. The dawn of a golf season brings with it all sorts of resolutions, but this year I’ve decided that now is a good time to take stock of my golf game and set myself some targets for the year. So what is a near 40-year-old, mid-handicap golfer expecting from himself this year? For me 2011 was not a vintage year in terms of playing and I was not out on the course anywhere near enough to bring my handicap down and indeed, my lack of activity is likely to result in it being pushed upwards somewhat considerably in the first few weeks of playing in 2012. My first task has to be to address this inactivity and to get out onto the golf course more frequently, especially in the summer months. I also need to address my ‘fair-weather player’ mentality and play golf in conditions which in the past I have decided offer too much effort and too little comfort and enjoyment. It is only by achieving this first goal that I can really work towards any of the other goals I’ve set for myself in golf this year. In the pages of Gorilla Golf, we have already taken a look at some of the best (and some of the worst!) 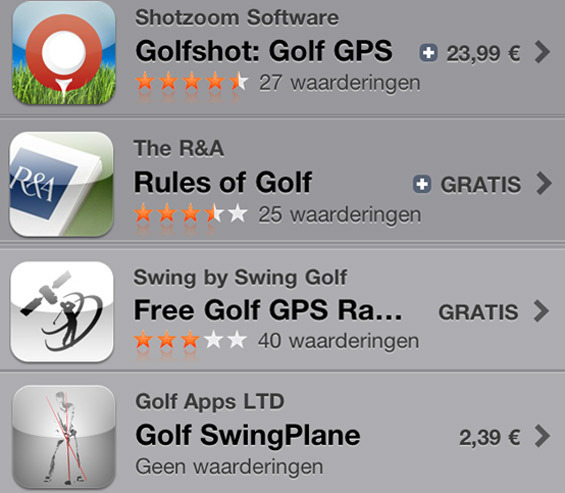 iPhone and iPad golf apps available today and while there is seemingly a new app every few days promising to turn the high handicapper into a formidable golfing talent at the touch of a screen, are these apps actually any use when you venture out onto a real life golf course? Rory McIlroy: What does it take to be the Golfing world’s new Number One? 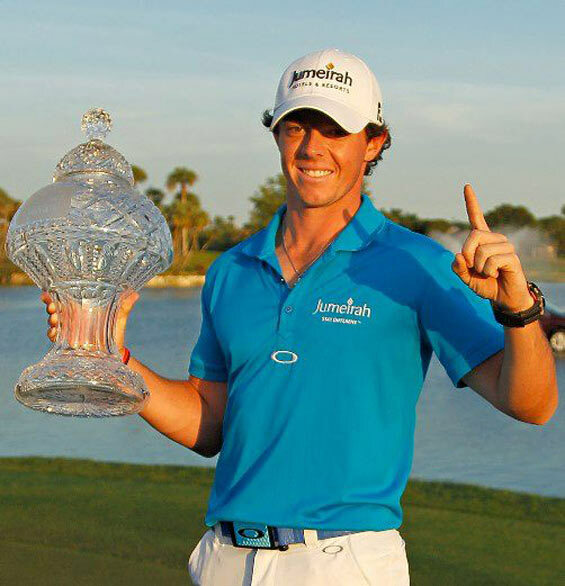 Even by the Northern Irishman’s standards, Rory McIlroy’s performance at the Honda Classic on 4th of March 2012 was remarkable and deserving of the reward of not just his fifth professional victory, but his place as the new world number one golfer now assured. So, let’s take a look at this remarkable young player and investigate why he is not just the best golfer in the world at present, but also one of the most popular. Perhaps the most remarkable statistic about Rory McIlroy is that since the USPGA Championship last year, the youngster has only finished outside the top five of any golf tournament he has entered, once. That level of consistency is astonishing. His consistent performance in all conditions at the Honda were a great example of that, four rounds in the 60’s and a two-stroke win evidence that while other players may shoot a lower round on occasion, McIlroy has the game to shoot low rounds almost every time he ventures out onto the golf course. Do prosthetics give a disabled golfer an unfair advantage? There is little doubt that golf is arguably the greatest test of self-control that an individual sportsman can face. During competition, golfers can feel their palms get sweaty, their knees wobble and their grip tighten on the club as they play themselves into contention. 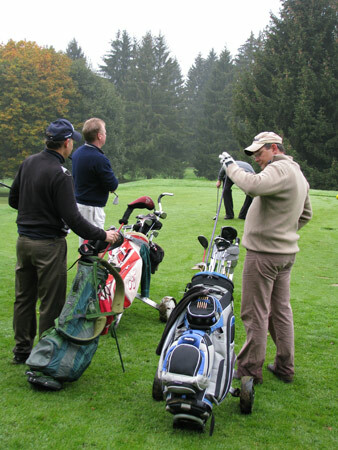 These natural physical reactions to the stress of competition and the desire to win are part and parcel of the golfer and how effectively they can deal with these issues, will go a long way towards deciding whether it is them holding the monthly medal trophy aloft at the end of the day, or reminiscing in the club house about how it could have been. So, in devil’s advocate mode, is it reasonable to think that a disabled golfer, who maybe uses a modified golf cart, or has prosthetic arms or legs, is actually at an advantage over an able-bodied golfer in this situation?